The flag of Nebraska was officially adopted in 1925. It features the 1867 state seal. 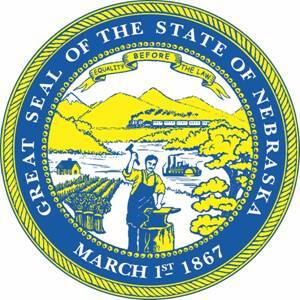 That seal is representative of Nebraska's agricultural and industrial industries.